From a tourists point of view, Myanmar (formerly known as Burma) is a country with loads of potential. 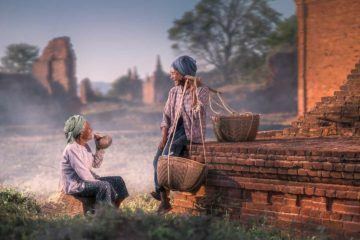 Despite being in the shadow of its well-known neighbor, Thailand which is known as the powerhouse of Southeast Asian tourism, Myanmar is rapidly developing. The country is very rich in natural and cultural attractions and is an amazing destination to discover. From ancient temples and pagodas, scenic lakes and rivers to incredibly friendly people, Myanmar is an exciting country to visit. 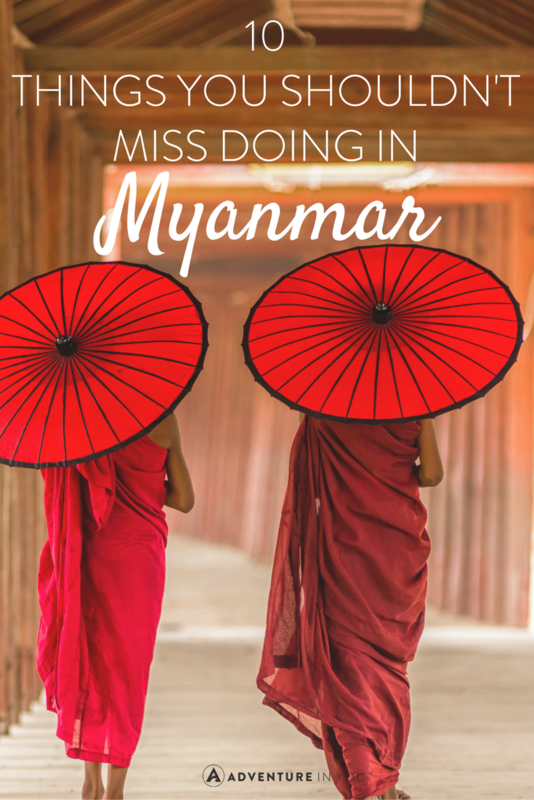 Here are 10 things you shouldn’t miss doing while in Myanmar. 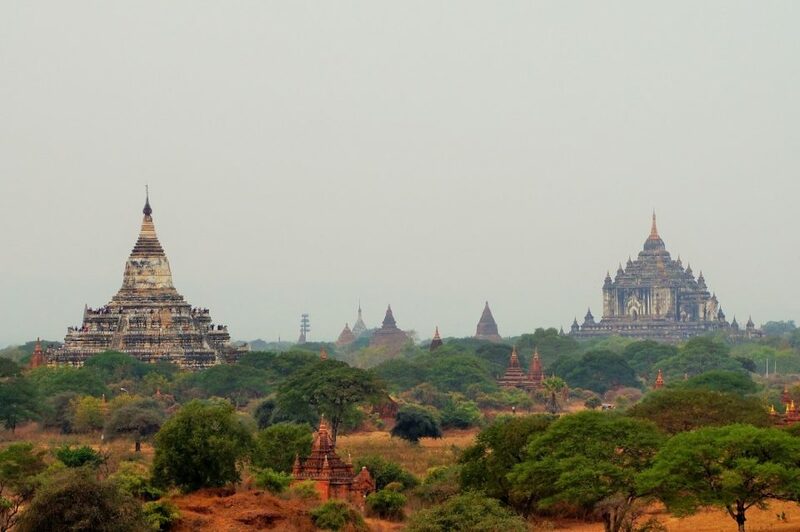 One of the most amazing attractions of the country is the old city of Bagan. Located along the eastern banks of the Ayeyarwady River, it is an archeological site with thousands of old Buddhist monuments and pagodas. 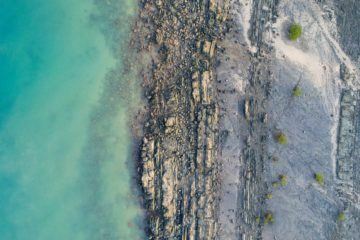 It is a popular place to visit because of its amazing views and incredible atmosphere. 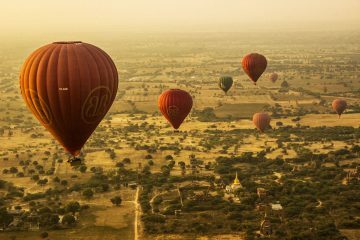 For a full day in Bagan, wake up early for some jaw-dropping views of the sunrise and discover the entire area on a motorbike. Hot air balloon rides are also available to do while in the area. An iconic monument and home to one of the country’s most spiritual and religious sites is the Golden Rock or Mount Kyaiktiyo. It is a Buddhist pilgrimage located in the Mon state and is known for its huge granite boulder covered with thousands of gold leaves which are pasted onto the rock by its devotees. To reach the top, you will either have to walk or take a truck (yes, it’s actually a dump truck!) which is rebuilt to fit passengers on its back. 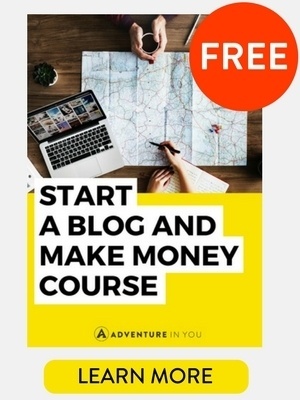 A very memorable experience and is one of our top Myanmar travel tips in regards to finding things to do. Inle Lake is probably one of the nicest lakes that you can visit in all of Southeast Asia. 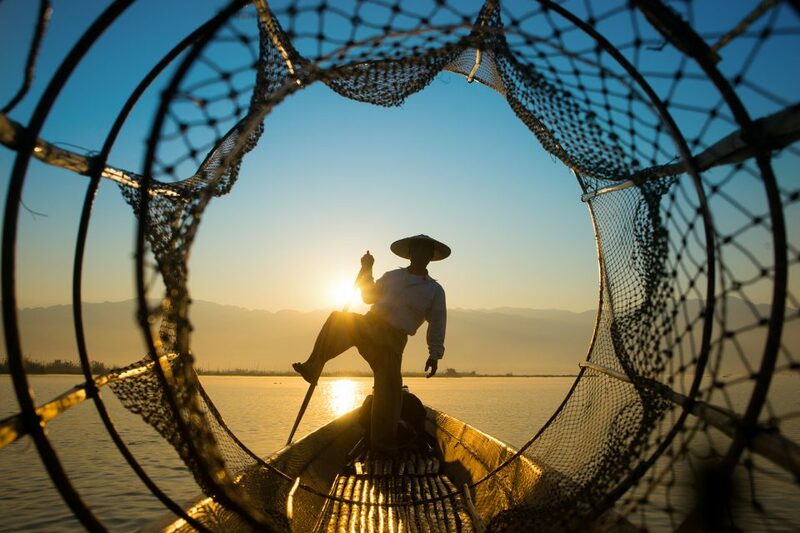 Nestled between the hills of the Shan province, it is the largest lake in the country and is well-known for its floating gardens, rustic wooden stilt houses and iconic fishermen who navigate their boats with one leg. Take a boat ride across the lake and discover all the interesting sites such as the Jumping Cat Monastery or the hidden temples of the Sagar Village and Takhaung Mwetaw. Mount Popa is an extinct volcanic mountain located in central Myanmar. On the foot of this mountain lies a monastery perched dramatically atop a huge rocky cliff. Here lies the spiritual center of the 37 Nats (Burmese Spirits), represented by various statues. The views across the surrounding plains and the Mount Popa itself are truly amazing. You can climb both the hill to reach the monastery and go hiking around Mount Popa as well, depending on how much time and stamina you have. 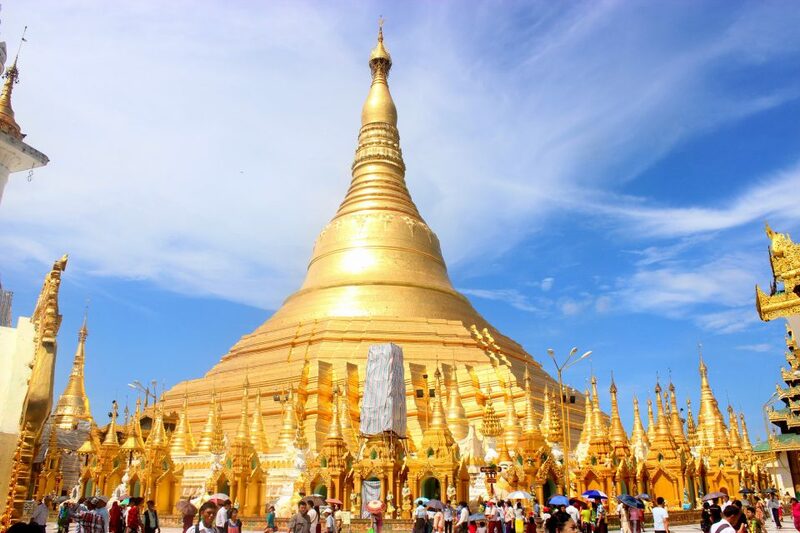 When visiting the capital city of Yangon, you must also visit the city’s most iconic pagoda – the Shwedagon. It is one of the largest and oldest pagodas in the world and stands as a remarkable landmark about 100 meters high in the center of the city. It is completely covered in gold and decorated with diamonds and is an incredibly nice place to visit. Take a walk around the pagoda as the pilgrims do and admire its sheer beauty from all sides. The atmosphere here is simply breathtaking and will surely be a great experience. Ngapali is an idyllic, palm tree-lined beach along the shores of the Bay of Bengal, situated in the western part of Myanmar. It is one of the nicest beach areas of the country and is a great place to spend some downtime. 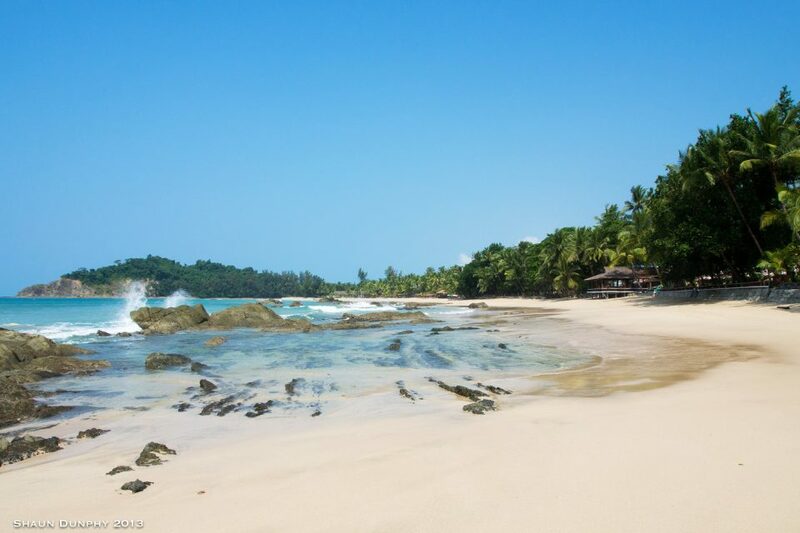 It was even rated as one of the nicest beaches in Asia by TripAdvisor users. Although becoming a major tourist spot, you can still find some nice local village vibes and local restaurants for a truly authentic Burmese experience. The Mahamuni Pagoda is another major pilgrimage site of the Burmese people. 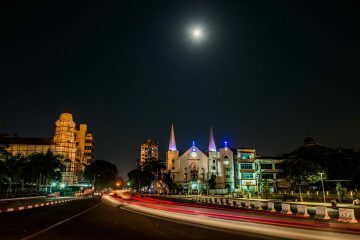 It’s located southwest of the city of Mandalay. What makes this pagoda so unique is that it houses the Mahamuni Buddha image, which is the most highly revered Buddha image in the country. The image is almost 4 meters high and weighs over 6.5 tons. To show respect to the Buddha, men (only men!) devotees place small leaves of gold onto it. As a result, the image is now fully covered with a thick layer of pure gold. 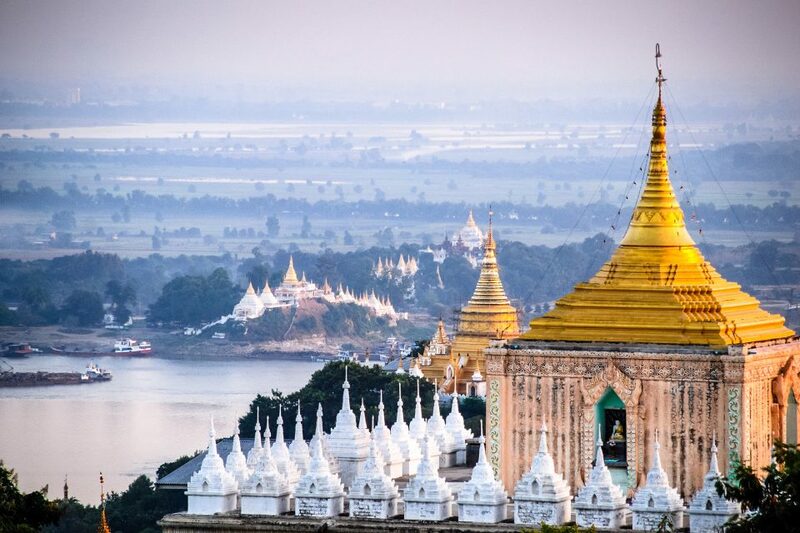 An amazing site to see and truly a must-go attraction if you are in Mandalay. 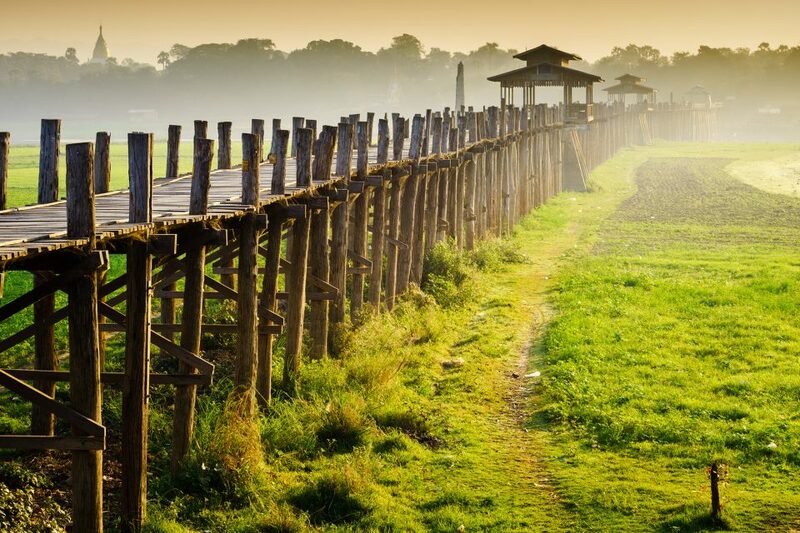 The U-Bein bridge is a very famous landmark not only in its hometown of Mandalay, but across the entire country. It is a perfect spot to take iconic pictures and is well-known for its stunning sunsets. The bridge is the longest existing teakwood bridge in the world and a truly beautiful spot to visit when in Myanmar. Walk across the bridge in the late afternoon and enjoy the nice sunset. Take some pictures of monks walking across with their umbrellas – a very iconic scene to featured in many magazines across the world. Mount Zwegabin is a mountain located in the southern part of Myanmar, close to the town of Hpa-An. This mountain is famous for its amazing views of the surrounding landscapes as well as it monastery, which is located on the very top. The walk is tiring and the stairs are steep but it’s definitely worth the effort. Sleep in the monastery, listen to the prayers of the monks and enjoy breathtaking views at sunset. Oh yeah, and be ready to dodge some monkeys running around the pagodas! On the way down you can walk around the Lumbini Garden, where over 1,000 Buddha statues are arranged in photogenic rows. Located in the northeastern part of Mandalay lies the famous Mandalay hill. It is the landmark of the city and a must-go place if you are visiting. Walk up the covered stairways on the southern side of the hill where the entrance is marked by two large lion statues. On your way up, you will pass by several Buddha statues and pagodas. The views on the summit are amazing, especially during sunset. Myanmar offers a great variety of things to see and places to explore. The Burmese people are incredibly welcoming and friendly and will make your visit a memorable experience. 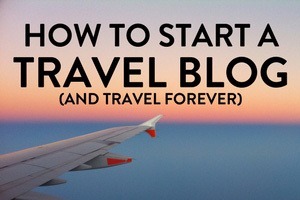 Julian Schönfelder is an independent travel writer, web-designer and co-author of apenoni.com. 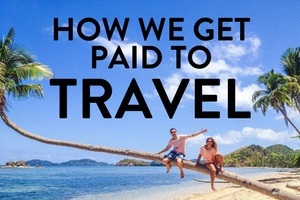 Traveling and exploring the world ever since he was small, he now is on a quest to inspire others to do the same. 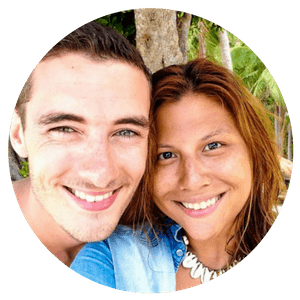 Together with his wife he created a travel blog with inspirational stories and pictures about their journeys across the globe - come check it out.